Ludlow10 is set in the medieval town of Ludlow, Shropshire. 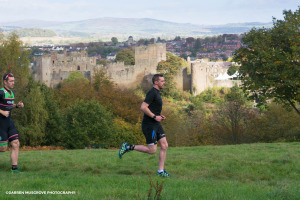 The race route takes in some of Ludlow’s spectacular scenery and starts and finishes in Castle Square, the very centre of town. Ludlow is a thriving medieval market town and an architectural gem with a lively community feel, busy with events and festivals throughout the year. The historic town centre is situated on a cliff above the River Teme and is surrounded by the unspoilt and beautiful countryside of south Shropshire and the Welsh Marches. Ludlow has many excellent walking and cycling opportunities right on its doorstep. 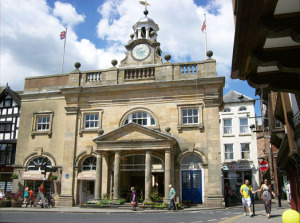 In recent years, Ludlow and the surrounding area has acquired an excellent reputation for the quality of its food and drink with many excellent restaurants and cafes encouraged by the areas abundance of quality food and drink producers. Every September, the showcase for this is the Ludlow Food and Drink Festival, when the town is filled with food lovers from all over the UK, and beyond. Whitcliffe Common is a delightful area of countryside available to all and on the doorstep of one of the loveliest market towns in England. The present Common is all that remains of a much larger medieval common used in the 13th C. to graze livestock, gather hay and quarry stone for the construction of buildings such as Ludlow Castle. On the Common and visible, are the long trenches thought to have been dug by the Parliamentarians for the siege of Ludlow Castle during the Civil War in 1646. Whitcliffe is also of international geological importance for exposures of Silurian strata. The work of Murchison in the 19thC gave the name ‘Whitcliffian” to the Ludlow Bone Beds. In 1821 the tradition began of caring for the area by local residents and this is continued today by the Trustees for The Friends of Whitcliffe Common. The organisers of Ludlow10 are very grateful for the help and support of The Friends of Whitcliffe Common. For details of how to get to Ludlow, click here.